Kris Kristofferson has been moving people with his songs for more than 50 years and nothing is slowing him down now. 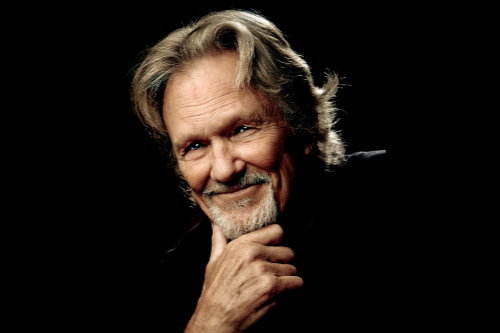 After struggling in Music City for several years in the late ’60s, Kristofferson achieved remarkable success as a country songwriter at the start of the ’70s. His songs, “Me and Bobby McGee,” “Help Me Make It Through the Night,” “Sunday Morning Coming Down” and “For the Good Times,” all became chart toppers and helped redefine country songwriting. By 1987, it was estimated that more than 450 artists had recorded Kristofferson’s compositions. He is a three-time Grammy winner and has recorded numerous albums, including three with his good friends Willie Nelson, Johnny Cash and Waylon Jennings as part of The Highwaymen. Kristofferson will be joined onstage by the band, The Strangers. Pick a “Buy 4 PAC” and mix shows and seats to save 10% or more! Buy tickets for at least four of the eight 2018-2019 Mainstage series shows at the PAC and save 10% or more on your purchase. Pick any four shows and any seating tier for each show. Click on the link below to get started.